A home sale within a week is a tall order particularly if you list your property on the traditional market. Even if the conditions of the market and the state of your property are perfect, closing the deal in just 7 days needs a lot of luck. It’s quite rare for a home seller to be lucky enough to have listed the property just when a certain buyer is on the market specifically looking for that house. In the most ideal situation when market inventory is extremely low and demand is high. Most realtors expect a traditional home sale to close within 10 to 21 days. You’ll need three key factors on your side to sell house fast by listing it on the MLS and engaging the services of a commission-based real estate agent. But still, this is no guarantee that you could expedite a quick sale mainly because of the many variables that are at play in the property market. Price is one critical factor in accelerating the sale of your house. It is an imperative that your property listing needs to be well-priced. In order to have a well-priced listing, it is smart to have your own pre-sale home inspection instead of waiting for a prospective buyer to take this step. Having an early inspection gives you more time to plan and do repairs. With this, you’re not only able to more effectively control your costs but also factor in the repair expenses into your asking price. Going through this exercise though is time-consuming and therefore highly unlikely to get you on track for a 7-day sale deadline. The condition of your home is another important factor to sell house fast; that is why it is necessary to undertake repairs early enough. It’s a truism in the traditional home market that houses in tip-top condition are sold much faster than residences in need of repairs. A thorough house cleanup is likewise a must as dirty or cluttered homes are unlikely to attract traditional buyers. Realtors’ marketing mantra of “location, location, location” is an emphatic reminder that residences in highly desirable or conveniently located neighborhoods are more in demand and likely to sell fast. Unlike house condition, there isn’t much you can do with your property’s location. All you can perhaps do is try to highlight what’s positive in your neighborhood. Such as forthcoming projects beneficial to the local community. Certainly, aligning all these factors for a sale in 7 days would be next to impossible going via traditional market. The chances to sell house fast within that span of time would be much more realistic if you deal with professional real estate investors. 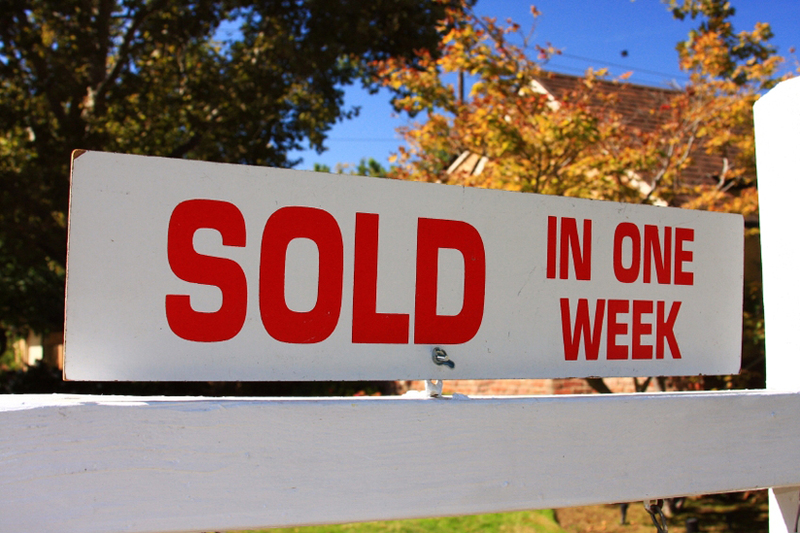 At House Sold Easy, we can facilitate a sale within a week since we buy houses anywhere. Our senior buyers also don’t expect your house to be perfect. As well-funded property investors for over ten years, we can readily initiate purchase of an “as-is” home. After just a brief walkthrough of your property. We can give you a fair estimate of your home’s value and get the ball rolling for a cash purchase. Call us at 636-525-1566 to bat for that 7-day sale!